Running up and down the Ingraham Trail like we were trying to escape a tidal wave coming from spring melt. But then we came just outside of town to the west and as the clouds cleared completely overhead they revealed a very faint green curtain momentarily dancing above us. Where’s the windshield wiper switch again, I asked myself leaving the house. We left in rain, which I don’t know if I’ve ever seen in April before, let alone the middle of April, and it continued on off and out of town chasing an orange glow from sunset far, far on the northwest horizon. 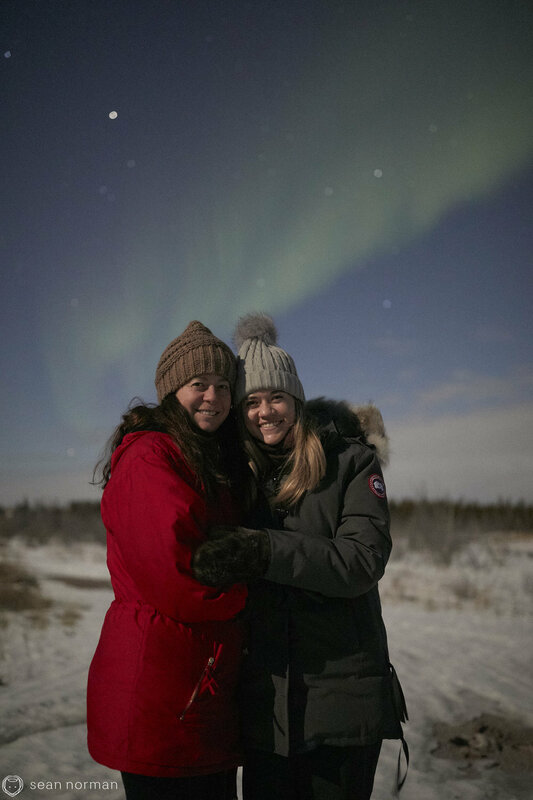 We managed clear skies, but keeping the aurora in those clear breaks required much running around and many kilometres. It’s been feeling like night after night in April we somehow manage to just nearly escape getting clouded in. Some nights it’s a chase, others more a stakeout, and tonight some combination of the two. Everything’s fine until all of a sudden everything is not fine. All that cloud that was slowly passing by on the southern horizon creeped up eating up the city just as I was ready to leave the house tonight. And none of it was in the forecast. It’s not my favourite feeling, but a gentle 60km drive from town revealed clearer and clearer skies and with a lot of luck the aurora seemingly waiting for us. Well, if you want perspective, watch Vice - and then all of a sudden a looming cloud bank doesn’t seem so big or scary. You know how I spent my evening. What a sight for sore eyes. Two days of Octoberish cloud and as our late setting sun was hitting the horizon, clouds cleared and through our few hours tonight, the skies stayed dead clear until it was time to wrap up and venture back into town. Even I was impressed with myself - at the bottom of our front steps looking up to the sky with a friend and we could distinguish, barely, over the bright twilight sky, a strong arc of aurora. ‘tis the season. It really could have been we were just out of town a lot earlier or a lot later than everyone else tonight, and were much further out of town too, but, where did everyone go? The Ingraham Trail felt like a ghost highway of a hundred years ago. No, really, the frost heaves are horrendous. But it just seemed like there was no one else around anywhere tonight, and I loved every single millisecond of that.